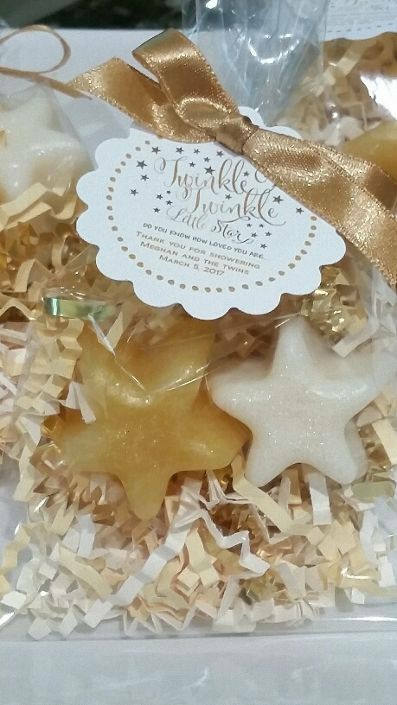 This listing is for 10 Twinkle Twinkle Little Star Soap Favors for baby showers, baby sip and see announcement favors or Baby's First Birthday! 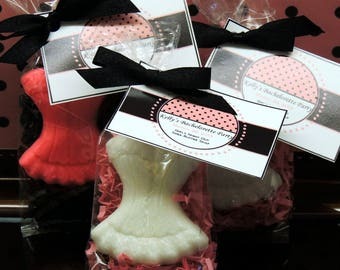 Each Soap Party Favor includes two star soaps packaged in a cello bag. That's 20 star soaps per order). Each star soaps is apx. 1" x 1" and 1" thick. Your soaps may be made in any color and scent. Choose up to 2 colors and scents per order. See scent selection in last picture. Not only do these look adorable, but our soap favors are made from our luscious lather shea butter moisturizing soap base and will leave you skin soft and moisturized. 2) SOAP COLOR(S): Choose two colors (one for each star) for your set of 10 favors- we can make these in just about any color combinations you would like. 4) GLITTER OR NO GLITTER? We can add a pinch of cosmetic glitter for a "sparkly" stars. The soaps were so beautiful and smelled so amazing! And I received them so quickly! Thank you so much, definitely will be doing business again! I got these favors for my sister baby shower. They were absolutely the cutest most adorable things. Not too big. Not too small. They are just about Palm size.